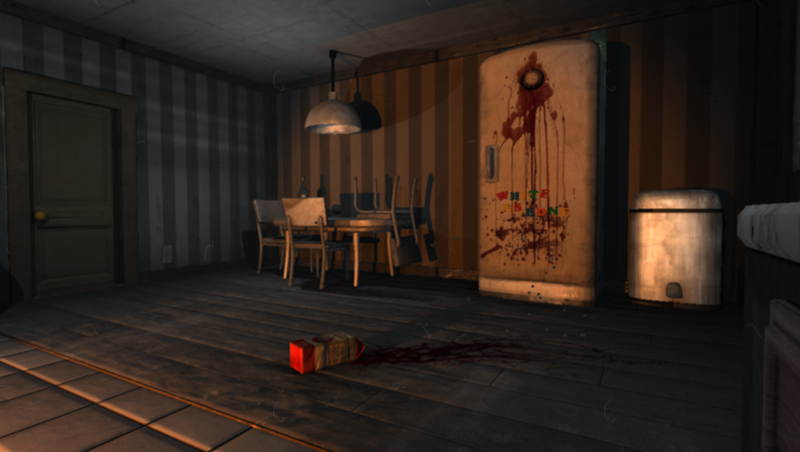 Erin Reynolds from Flying Mollusk has developed a first-person horror adventure game that responses to your fear in real-time. 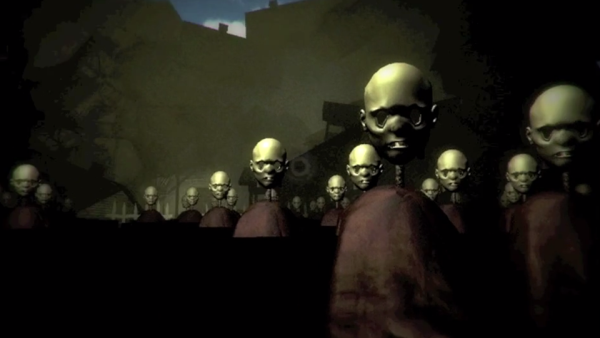 In Nevermind you are a Neuroprober— someone who ventures into the minds of victims of psychological trauma. In these strange words, you’ll explore, solve puzzles, and unlock the terrifying mystery that lurks within each patient’s inner psyche. Each patient reacts differently to this probing. Untreated traumatic experiences can trigger other serious problems in the subconscious, resulting in it lashing out. Images range from an eerily inviting gingerbread house, haunted faces populating church pews, the traditional threat written in blood on walls, and a room of twitching body bags handing by chains from the ceiling. The game works by monitoring your biofeedback as you play. As your anxiety levels increase, the game becomes more challenging. 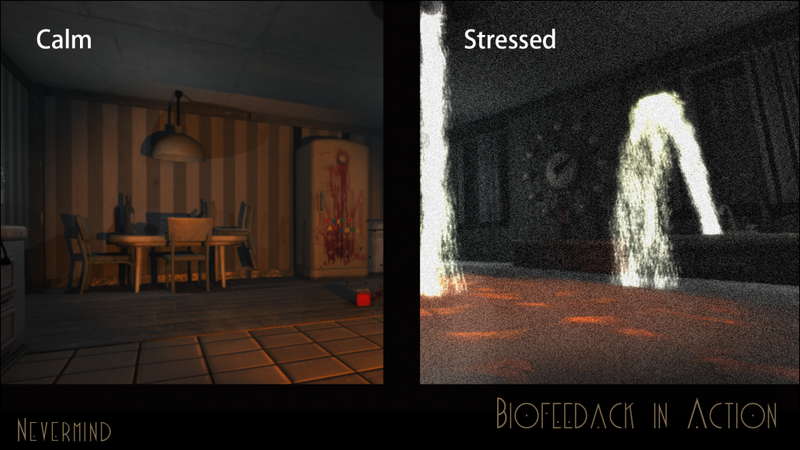 The screen becomes shaky, and the environment changes until the player is able to hone their ability to manage those feelings of stress. As you become more aware of your internal responses to stressful situations, the game becomes more forgiving. The biofeedback element makes for a completely new gaming experience. Players can attach any type of heart rate monitor to their computer during gameplay. 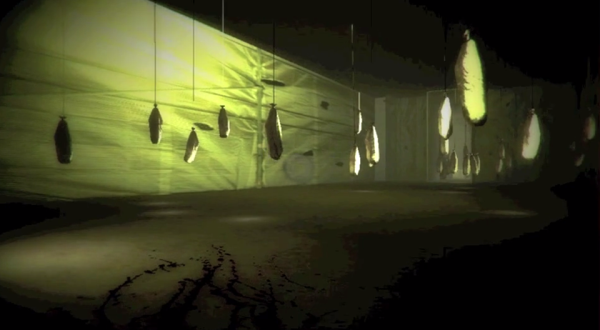 The Flying Mollusk group tested the game using the Intel RealSense camera, which measures heart rate without needing to be in contact with the body. 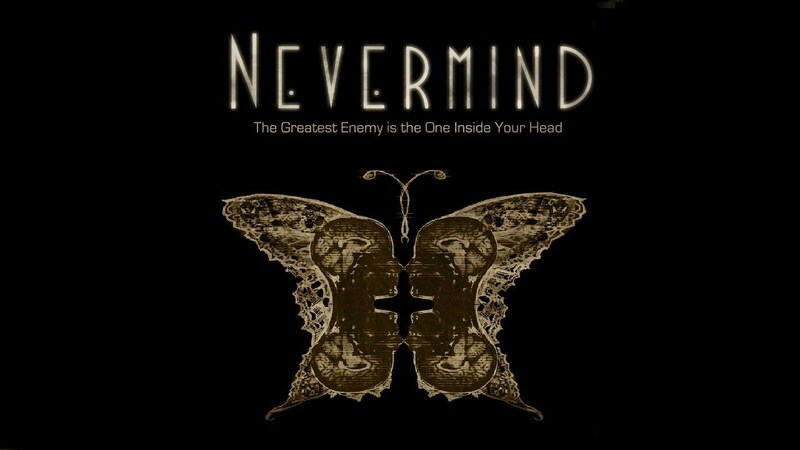 However, Nevermind can also be played without any biofeedback hardware. 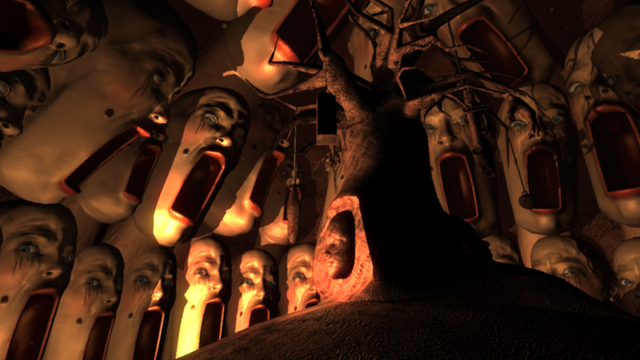 The game developers hope that, by learning to control anxiety within the disturbing realm of Nevermind, those skills might transfer to stressful moments in the real world. The potential for Nevermind to act as an approved therapeutic tool to treat those who suffer from stress, anxiety, PTSD, or other similar conditions is an exciting one. So far, informal testing results at USC have been promising. Researchers and behavioral health experts are excited to work with the game developers further. 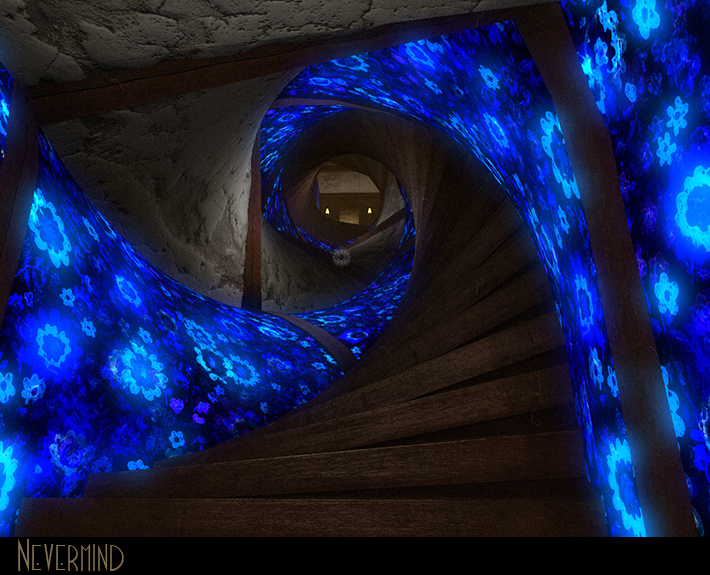 Flying Mollusk is dedicated to “games that give back.” This long-term goal, to craft a health-centric version of Nevermind specifically targeted to help real patients, will be particularly rewarding. Reynolds hopes that the team is able to show forms of psychological trauma in a way that’s fair and balanced. “We wanted to more deeply explore the breadth of what trauma is,” she says. “It’s a wider field than I think people realize. We’re hoping that people enjoy it, but we also hope that it humanizes PTSD by presenting those thoughts and that background.” The makers hope that the game will show that video games can be used to motivate positive action. 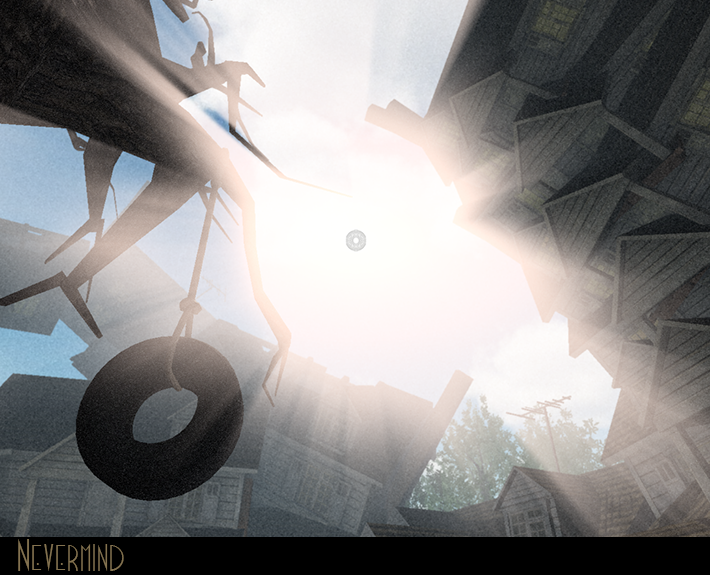 Nevermind, for Mac and Windows 8.1, is currently available on Steam for $17.99. Note: This game has not been evaluated by the FDA and is not intended to diagnose, treat, cure, or prevent any disease. The consumer-grade sensors supported by Nevermind are not medical biofeedback devices nor should they be considered medical instruments.